Just 90 miles away from the continental US, and an amazing place with an interesting culture to explore. Birthplace of many of the roots of todays latin music and known for its world famous artists. We have been traveling to Cuba since 2013 and we know Cuba. We have deep connections to the communities as well as the art and music scene. Our experienced bi-lingual guides are artists themselves and will show you an intimate look of what real Cuba is. 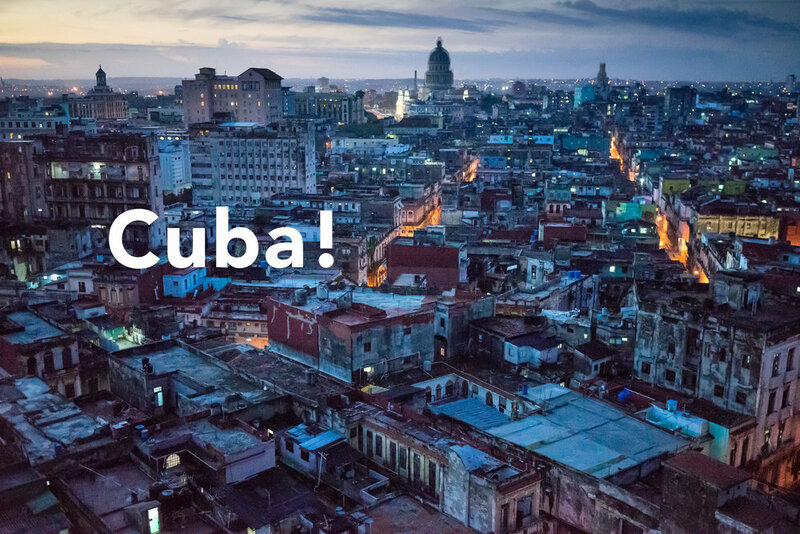 How do you immerse yourself in Cuban culture. Walk the street of Havana day and night with us to see the real Havana. We have deep connections with the art world and music scene in Cuba. See art and music as it is created by the artists. Kapinski hotel in Old Havana, luxury right in the middle of it all. Cuba is not just Havana.Cuba is full of interesting places and people. We take the road less traveled to show you a side of Cuba rarely seen. We arrange accommodations in the best hotels in Havana from luxurious to historical. If interested in a more cultural perspective we also arrange stays at Casa Particulares. (Bed and Breakfast) in the best locations with views of the Malecon and in the historical area of Old Havana.